As you may remember, one of the stretch goals for the Uncanny Magazine Year Two Kickstarter was a new webcomic feature. Each issue, the multi-talented Liz Argall will have a special Uncanny edition of her webcomic Things Without Arms and Without Legs where they react to a story in the current issue of Uncanny Magazine. 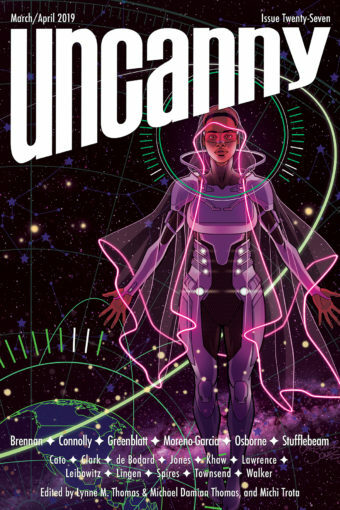 This month, they’re reacting to Rose Lemberg’s “The Desert Glassmaker and the Jeweler of Berevyar” from Uncanny Magazine Issue 8.